6 Top Reasons You Should Go Paleo #infographic ~ Visualistan '+g+"
Whether you’re new to the paleo lifestyle or looking for a change in your diet to help boost fat loss and give you amazing energy levels, you will no doubt want to know what the main reasons for going paleo are. Going paleo or like me primal (there’s a slight difference) is becoming more and more popular in recent times and quite rightly so. The paleo lifestyle is now being recommended by Doctors and back by scientific evidence, and with this comes media attention. A lot of people would have now heard of the paleo diet or more commonly the caveman diet, and heard of the fat loss results that people are having from it, but eating and living this way has more of an impact on your body than just losing fat. When I first found the primal lifestyle there were some main reasons as to why I decided to ditch the junk and begin to understand my body’s blueprint. 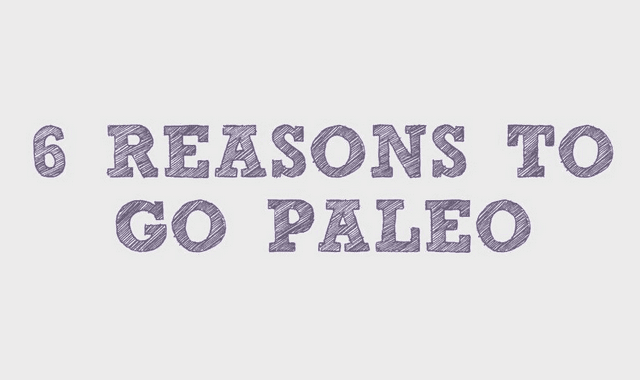 I have highlighted 6 main reasons in this infographic as to why I feel you should go paleo.